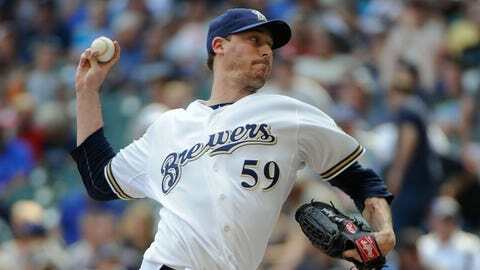 Former Brewers closer John Axford blew six save chances in 62 games last season with Milwaukee before being dealt to the Cardinals. the Indians may have found their new closer on the outside. 2014, replacing Chris Perez, who was released on Oct. 31.
who used him in a late-inning role. Axford had a 1.74 ERA in 13 games for St. Louis. agents Joaquin Benoit, Grant Balfour and Fernando Rodney. club released Perez, a two-time All-Star, following a turbulent 2013 season. with the Los Angeles Angels.